After your aha moment you are very motivated to do a trash audit and work toward reducing the amount of trash you create. Like all things it's shiny and new and great, but here are eight things that aren't usually advertised. 1. You will have plastic guilt. I try to make good decisions and get the most environmentally friendly thing, but sometimes you just want to buy the hummus in the plastic container rather than make it. Hopefully you experience less guilt than I do, but it's there when I buy it and dispose of it. 2. People will look at you strangely. You are doing something that most people don't so whether it is simply asking not to be served a straw or are bringing your own containers to the deli to have them filled, someone will give you a weird look or maybe even say a snarky comment. 3. There will be days you want to throw it all in. We can't be perfect, so I say embrace those days or moments and then start over again the next day. 4. You will question everything. I mean everything. I have stood looking at the dairy case trying to figure out the best way to buy milk. The tetrapak is paper, but we don't have recycling facilities around here so it will go to the landfill. Is that better than the plastic container? Cause the plastic container can be downcycled. 5. You will be disgusted by things that used to be normal. All of a sudden you will start to see the amount of waste you used to create and it will make you sick to think about what you did and to see that people are still doing that today. 6. Your eating habits may change. To prevent packaging waste you will likely be seeking out other food options like buying from bulk food containers or farmer's markets. You will likely be eating less processed food because the more processed something is generally the more packaging it has. 7. You will realize that recycling is a help, but not the solution. Recycling an item still uses resources and virgin materials, albeit maybe not as much as non-recycled products. However buying package free items will help to eliminate that altogether. 8. You will have an impact/influence on others. That person standing next you in the grocery store may not have know that you can bring your own containers. Your co-workers may not have ever thought about not getting straws with their happy hour drinks. 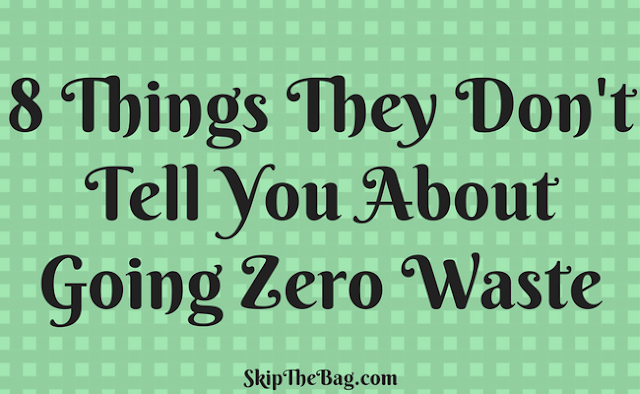 But you doing things and talking about them will help introduce people to the zero waste lifestyle. 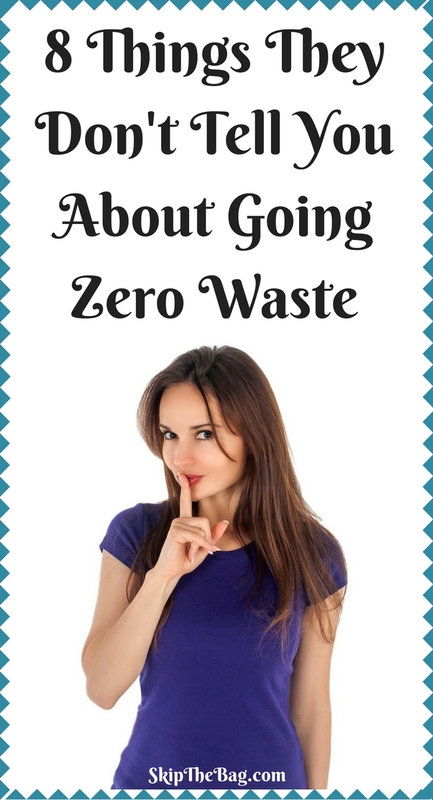 What have you found out about going zero waste that you were surprised by? 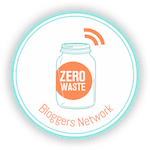 Ready to start or continue your zero waste journey? 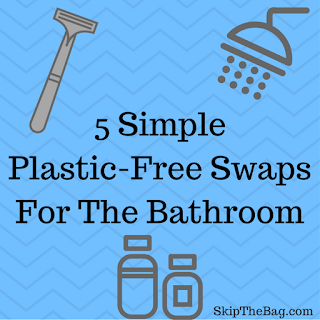 Have you read 5 simple plastic-free swaps for the bathroom? Affiliate link, please see disclosures and privacy. Great article! I guess I wasn't surprised by any of your very valid points because I have been doing it so long. Pinning & tweeting. Happy Spring! I still struggle with plastic guilt all the time! Guess that means I need to be better about eliminating it's use in my life. Happy spring to you too! Thanks for sharing. It helps to do these with younger people. Older people, in my experience, seem not to give a crap. It might easier to help influence a younger person. They are still working on creating their habits. However, some people claim their grandparents made less waste than them, and I know I've been making an impact on my parents and in-laws. So I'm sorry to see that you've had negative experiences. Keep it up, you may not see the change as it can take a while. Ugh, those pods are awful for the environment. Most people don't realize that plastic is mostly downcycled. And you are right, recycling rates are abysmal anyway. I'm sure its much less with those cups. Thanks for stopping by! According to the manufacturer, you can recycle ONLY two of the hundreds of varieties of pods, and you can recycle ONLY the bottom part and ONLY if you separate and empty it, and of course you can ONLY put it into a bin where #5 plastic is accepted--many recycling programs take only #1 and #2. Most varieties of pods are made from several different types of plastic that can't be easily separated for recycling. This is a great list! For me, another advantage of reducing waste has been discovering options that I like a lot better than the more wasteful ones. For example, the alternatives to disposable pads and tampons are much more comfortable, and some are MORE convenient than the disposable stuff! YES! After I switched, I wished I had done it years ago. I use a refillable coffee pod. I fill it with the organic coffee of my choice. The convenience of the coffee pods without all of the waste! Great list, Katy! Family members get plastic guilt, too!